A blend of 3 vital trace elements for beets, onions, fruits, potatoes, brassicas, carrots & celery crops. Vitax Copper Mixture is being used by many growers as a Bordeaux Mix alternative. 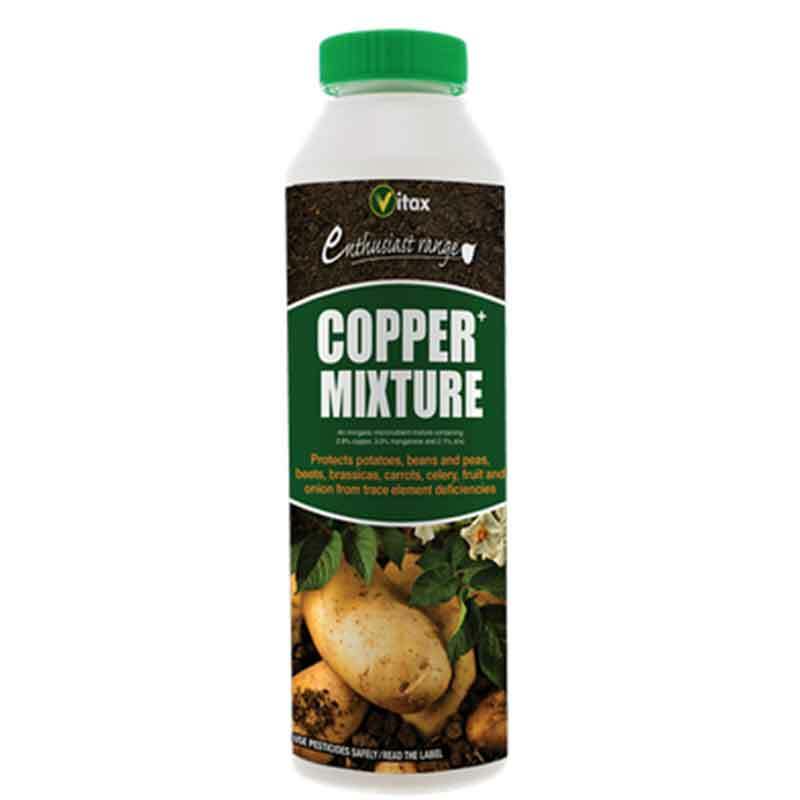 Copper Mixture is a blend of 3 vital trace elements for use on crops suffering from trace element deficiencies. Copper deficiency can occur in beets, onions, and top fruit on peaty, sandy and shallow organic chalk soils. Manganese deficiency occurs in many crops including potatoes, beans, peas, beets, brassicas, carrots, celery, fruits and onions in peaty soils with pH above 6.0 and mineral soils above pH 6.5. Zinc deficiency can also occur in fruit grown on sandy soils with high pH and phospate levels. If you would like further information about Vitax Copper Mixture, please contact our garden centre at Shawbury just outside Shrewsbury in Shropshire, by calling 01939 251315 or emailing.